ColecoVision.dk presents: Knightmare © 1986 by: Konami Industry Co., Ltd. 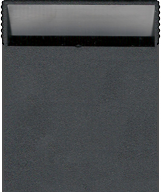 Original Programmer and/or Designer: Konami Industry Co., Ltd.
Special for the ColecoVision version: "Easy Mode"
Based on the sensational Konami MSX game. Face untold horrors straight from Greek mythology in this vertical shoot-em-up for your ColecoVision! Aphrodite, the goddess of love and beauty, is trapped in the Nightmare Castle of the King of the Underworld. Brave warrior Popolon vows to rescue her, and so begins an epic journey to Mount Atos, beyond which the Nightmare Castle is located. Guide Popolon as he marches onward, as countless demons of all shapes and sizes try to stop him from reaching his beloved Aphrodite. Collect crystals that affect your stats or grant you new weapons. Pick up magic icons that produce various bonus effects. Opcode Games added a new "easy mode", because the original MSX game is insanely hard. **Knightmare will keep track of already visited stages as long your ColecoVision is on. High Score For The ColecoVision Version Of: Knightmare: Normal. 1st XScore: 0 - 1st XScore: 0 - 1st XScore: 19.530 - April 18, 2019. Intern : Can't even beat the first level to get to the first boss. :( Name: Ole Nielsen. 2nd XScore: 16.970 - April 15, 2019. 3rd XScore: 15.780 - April 15, 2019. 4th XScore: 15.620 - April 18, 2019. High Score For The ColecoVision Version Of: Knightmare: Easy. 1st XScore: 0 - 1st XScore: 0 - 1st XScore: 15.040 - October 08, 2016. 2nd XScore: 13.220 - April 15, 2019. 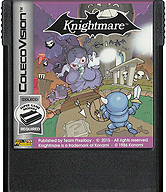 ColecoVision.dk Game # 143, Knightmare is last updated: April 18, 2019.